Analysis: Is Lewis Hamilton right to say that Mercedes F1 team "disrespected him"? Lewis Hamilton has put the cat amongst the pigeons as 2016 comes to an end by saying that his Mercedes team management 'disrespected' him in comments made after the Abu Dhabi Grand Prix. Hamilton went on to say that the dispute has not been resolved with the management over him refusing to accept a team order to speed up, rather than bunch up the pack to encourage Mercedes' rivals to overtake Nico Rosberg and help Hamilton's cause. So is he right to open this up in public, given the situation that he and Mercedes now find themselves in heading into 2017? Hamilton certainly did Channel 4 a favour, giving them a chance to be the agenda-setters with a quote for the channel's end of season Review programme. The quotes have been echoing around the internet since the show aired on Saturday. "That was one of many uncomfortable moments of the year. Ultimately seeing what had been said afterwards, I felt quite disrespected by the individuals who had spoken," Hamilton said. "You definitely don't expect that from those who are in charge of so many people. Has the situation been resolved? 'No, it hasn't." The last act in Abu Dhabi was indeed a curious episode and one that Mercedes must look back on with regret. They would have done well to avoid it, especially as circumstances have evolved since with Nico Rosberg's retirement. The Constructors' championship was all wrapped up and there was only the Drivers' championship to be decided between the two Mercedes drivers. On the face of it, there was no reason for Mercedes management to intervene in the conduct of the race, especially as they have prided themselves on letting the drivers race over the past few years. Few are privvy to the inside track on precisely what was said in the pre-race Mercedes drivers' meeting but some ground rules will have been covered and from the way that Paddy Lowe managed the instructions via radio in the closing laps - instructing Hamilton to speed up - it would be logical to assume that this 'backing up' scenario had been discussed. 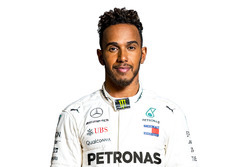 Hamilton would most likely have said that he should be allowed to do whatever is within the rules to give him a chance to win the title, especially after being disadvantaged by the engine failure and the 25 points dropped in Malaysia. 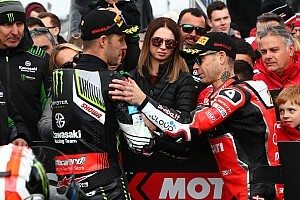 Lowe said at a recent awards dinner that the worst moment of the 2016 season was not the collision between the drivers in Barcelona, but rather the incident at the end of the Austrian Grand Prix, because after Barcelona they had set in place fresh ground rules on how the two drivers should act to avoid contact and those rules were flouted in Austria. That gives some insight into the mindset of the Mercedes management through this difficult period around the Abu Dhabi race. But that doesn't alter the fact that it wasn't really for Mercedes to intervene in Abu Dhabi for several reasons. Millions of Hamilton fans were already of the view that there was some giant conspiracy for the Mercedes bosses to ensure a German won the championship in its car and trying to stop Hamilton from doing the only thing he could in Abu Dhabi to swing things his way gave succour to such views. The great irony here is that Rosberg promptly retired after winning the championship. Had Lowe and Toto Wolff anticipated that they might not have been so keen to intervene in Abu Dhabi. Anyway Rosberg now has his championship and he's departed. So now it's about how Hamilton, Lowe, Wolff and Niki Lauda move on in their relationship; and whether Lowe moves on to Williams. That's why its interesting that Hamilton has gone on the offensive here. This interview is classic positioning. It indicates Hamilton flexing his muscles, now that he is the undisputed top dog at Mercedes; from now on everything has to be his way. He is likely to be paired with Valtteri Bottas and the danger there is that if there is any sign of Bottas getting the rub of the green from the management, Hamilton will highlight the fact that Wolff is also Bottas' 'manager', in the sense that he has overseen his career while delegating day to day management to someone else. It's all a subtle mind game, sometimes not so subtle. Hamilton is in a strong position anyway for several reasons going into 2017. First the likely challengers, Red Bull, have two hungry young drivers who will be fighting each other as he did with Rosberg. That relationship could easily turn toxic. In contrast Hamilton aims to have it all his own way at Mercedes in the title fight. But there is also an indisputable racing reason why it looks good for Hamilton next season and that is the tyres. One of the main reasons why F1 has regulated for wider tyres in 2017 is not because of 'looks', it's because of physics. Pirelli struggled to get the science and technology right to produce F1 tyres to the narrow dimensions laid out in the F1 rules as they were. Things improved a bit over the years, but the fact that high tyre pressures had to be mandated in 2016 shows that they were far from operating at the optimum. The science behind the 2017 tyres is simple; with a wider tyre, you can spread loads more evenly, you can manage temperatures and degradation much more effectively. Pirelli has the science for that size and shape of tyre and so the racing will benefit. They won't need to change much in terms of compounds to achieve this. All the signs from 2017 tyre testing so far are that it all just works much better on a larger format tyre and the drivers will be able to push much harder in races, like in the old days. And one of the drivers who will benefit most is Lewis Hamilton. One could argue that of all the drivers in F1, he is the one who has been most held back by the limitations of Pirelli using a tyre size that didn't suit their technology because of the way he drives and what he can do with a car. Once reunited with tyres that all drivers can push to the limit, he will be at the top table of those who are unleashed to be their at their very best. Hamilton will be hard to contain in 2017 and he knows it. He needs the team fully behind him to achieve the fourth title and the all time pole record which he is close to achieving and he's locking antlers now with Wolff to get positioned for 2017. It's a strange dynamic; the boss signs off on a $30m + million pay packet and bigs up his superstar driver, but behind the scenes there is a battle. It's happened in many relationships like Ron Dennis with Senna or Prost, Enzo Ferrari with Niki Lauda and others. Jean Todt and Michael Schumacher were unusual in having a harmonious relationship in public and private. It's Phase 3 of the development of Lewis Hamilton the F1 driver. Phase 1 was the hard working lad with a very intense Dad and a God-given talent, racing for McLaren. Phase 2 was the more mature driver, split from the Dad, with way more going on in his life beyond racing, switching from McLaren to Mercedes piling up the results, the big money and the world titles and becoming a global superstar in the process. Phase 3 is the world class athlete, fulfilled but still motivated for more, who knows what he is worth and who is going to tell the bosses how it is from now on. It will be fascinating to see how Wolff manages it and for how much longer Wolff's own focus remains on the F1 team, or whether it starts to move onto broader ambitions. Mouton Q&A: "I'm not sure we'll see a woman at the top in F1"